Despite the recent mini-resurgence seen in desktop sales, it is a fact that the desktop as we know it has already been consigned to the proverbial scrapheap. In this age of mobility, our office is where we are, be that on the train or sipping margaritas in Key West. The way in which people interact with technology has evolved and so the desktop must evolve too. While Virtual Desktop Infrastructure (VDI) has gone some way to addressing this new way of doing business, it is still bound by the same laws as on-site infrastructure. As confidence continues to grow in the public cloud, there seems no good reason to not sprinkle the ‘as-a-service’ fairy dust on top of desktop ecosystems. Of course, the desktop is just the latest in a long line of technologies to be scooped up and whisked away to the cloud; but due to the multifarious nature of the desktop environment, the quest to find a robust solution has not been a straightforward one. Towards the end of 2013, Amazon chucked its hat into the DaaS ring with WorkSpaces. While Amazon’s chokehold on public cloud has enabled it to throw some weight behind the offering, it is still limited to connecting users to Windows Server instances; a far cry from the flexibility that many customers are looking for. Citrix has a lot going for it, with a largely partner-driven offering, which can be hosted on public cloud, on-prem or in a hybrid deployment. Microsoft currently only has Azure RemoteApp which, as the name suggests, is less a DaaS solution, more apps in the cloud. While the big players have all sensed an opportunity, it has been difficult to say with any conviction, which solution ticks all the boxes. However, VMware’s Horizon DaaS, which touched down in the UK today, could just be all things to all men. The godfather of virtualisation acquired veteran DaaS provider Desktone back in 2013, signalling VMware’s arrival into the DaaS scene. Desktone actually trademarked the terms ‘Desktop as a Service’ and ‘DaaS’ back in 2009, giving some indication of firm’s significance in the hosted-desktop arena. The buyout was a slick tactic in the battle to bring an enterprise-grade solution to market. VMware Horizon DaaS launched in the United States in March and filled in many pieces of the on-going puzzle. The partner friendly, out-of-the-box solution, hosted on vCloud Air (formerly known as vCloud Hybrid Service), has certainly got people talking; but does it really remove all of pain-points that come with DaaS? Andy Philp, EMEA product marketing manager for VMware, says that the difference between Horizon DaaS and the other offerings is night and day. “Most other vendors take their solution and put it in a public cloud like Azure. That isn’t DaaS – it has not been built to be delivered by public cloud. That’s why we acquired Desktone. 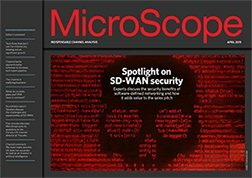 They built a public cloud, multi-tenant Desktop-as-a-Service solution from the ground up,” Philp explained to Microscope. Philp believes one of the key USPs of Horizon DaaS, is that it is tied into VMware’s ecosystem. Clever innovations such as HTML5 support and Unity Touch are all baked into the platform. To say that VMware DaaS is new to the UK market is not entirely accurate; partners have had access to the underlying platform for some time now. 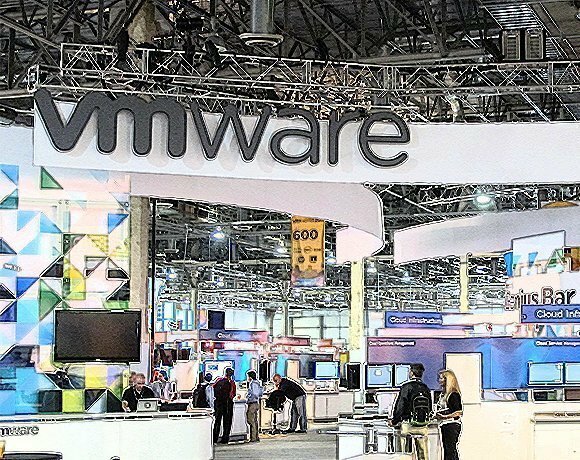 Rather, VMware has moved the operation over to its UK datacentre in Slough and created an easy-to-buy/easy-to-deploy customer-facing solution. Does this mean that there will be a conflict between partners and VMware’s home-grown solution? Speaking of pricing, Horizon DaaS comes in three flavours, ranging from 1 CPU, 2GB RAM and 30GB of disk space for £23 per user per month, to 4 CPUs, 8GB and 120GB of disk space for £67 per user per month. The virtualisation giant is also trialling a ‘business starter pack’, which comprises of 20 standard, ten advanced and five enterprise desktops, as well as the Hosted App Server, for just over £4,500 per quarter. Since the Snowden revelations, there has been a steady exodus of data from US shores and so many UK companies will welcome the news that data will reside in VMware’s Slough datacentre. However, Britain is not exactly a data sanctuary when it comes to the prying eyes of the intelligence services and so European companies may be keen to see data hosted in more neutral locations. “However, our initial focus is with our partners in the UK. We will be announcing expansions into EMEA soon,” he said, adding that while he could not go into detail, VMware would be ‘very aggressive’ in its expansion. DaaS is certainly a 2014 buzzword and with the major vendors all vying for a piece of the pie, cloud-based desktops are here to stay. However, barriers to entry remain high - scalability, cost-efficiency, ease-of-use, security, integration, end-user access, control; all these factors need to be addressed for partners and businesses to truly buy in. VMware’s Horizon DaaS looks to be one of the first solutions to at least try to address many of these issues head on.